Pammy Blogs Beauty: SoCozy Hush Collection: Gentle Hair Products for Kids! SoCozy Hush Collection: Gentle Hair Products for Kids! As any busy Mom knows, managing day-to-day life with two young kids can certainly be a challenge (albeit a rewarding one, right?!?!). Bathtime and getting ready for bed can present a particular challenge when dealing with long hair and potential tangles on one child and super sensitive skin with my youngest. I like to try to keep our bathtime and betime routines fun and relaxing. So, I want products that work gently and effectively while making my Mommy life easier. No one wants struggles with combing our tangles and products irritating sensitive skin at the end of their day. 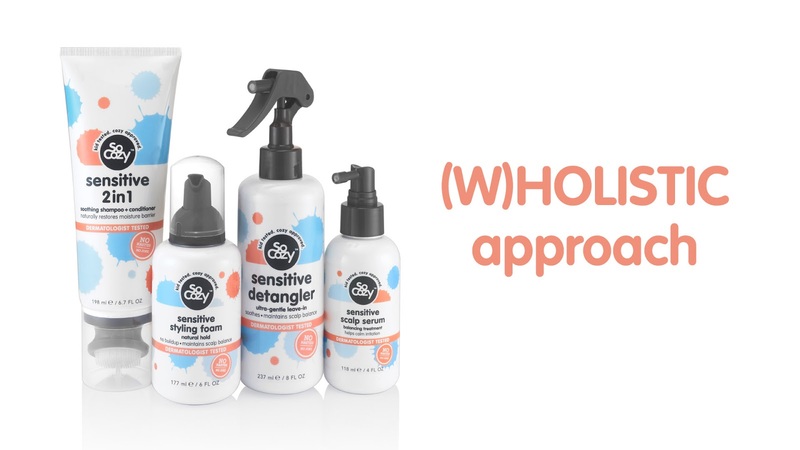 I am so excited to try out this awesome hair care collection specifically designed for babies and kids with sensitivities. 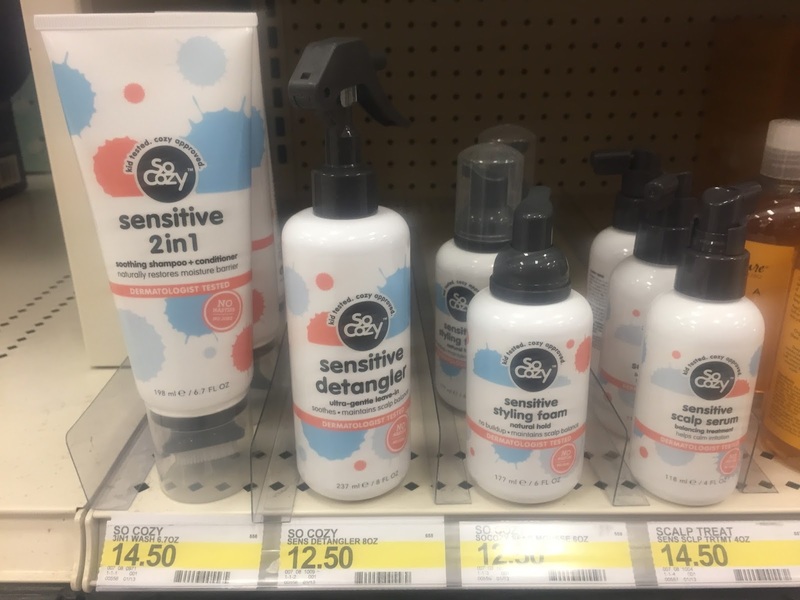 This collection can be found in the baby department in the baby products asile (the other SoCozy Hair Care Collections are in the Health and Beauty department in the hair care asile with the other kids shampoos). The Hush collection includes Hush Sensitive Serum, Hush Sensitive Foam, Hush Sensitive 2in1, and Hush Sensitive Detangler. SoCozy was created by Cozy Friedman, a woman who founded the first children’s hair salons in New York City. Cozy adopted a higher standard for her products that relies on quality and integrity, not chemicals and preservatives. Today, that standard is a promise: “no nasties—ever,” and that means peace of mind. As a mom, I take comfort in knowing that the products that I am using on my children are gentle and safe. This is especially important to me as I have a child with eczema. I need to use the most gentle products that I can find on him. Otherwise, his eczema will flare up and he will become very itchy and uncomfortable. The SoCozy Hush Collection products are a great addition to our bath routine! In our house, we do baths every/other night unless the kids get super dirty outside playing (then it is a bath every day). With my son's sensitive skin and eczema, baths every/other night were recommended by our pediatrican. We wash our kids' hair with the Hush Sensitive 2in1. Then after bath, we follow up with the Hush Sensitive Detangler to get out those pesky tangles and the Sensitive Foam to give my kids' straight hair a bit of hold. For my daughter, who has very long and thick hair (she is 5), we do use an additional conditioner after shampooing. For my son (who is 3), we just use the Hush Sensitive 2in1. For a 3 year old, his hair is pretty thick and it is on the longer side for a boy. I find that the Hush Sensitive 2in1 works great for him without needing any additional conditioner. While we haven't had any issues with irritated scalps, we do have the Hush Sensitive Serum on hand should eczema or dry skin flare up on my kids' scalps. We have been super happy with the NEW Hush Sensitive 2in1 Collection (available at Target). I feel that consistant use will help keep us clear from eczema flare ups! The Hush Sensitive products are gentle; yet, they are effective at cleaning and conditioning my kids hair and providing light hold for hairstyles! I honestly really appreciate using gentle products with my kids and love having the confidence knowing that all the ingredients are safe for my children. Thank you SoCozy!!! Find the SoCozy Hush Collection in a Target store near you!